Three new 'Breaking Dawn' Comic-Con promo character cards revealed. 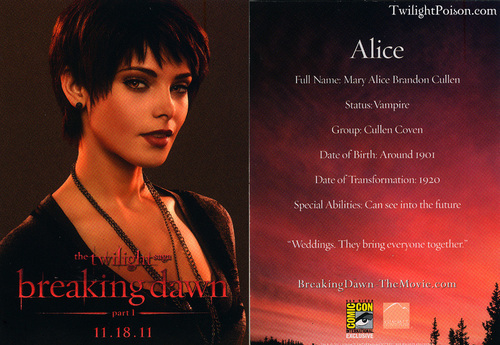 Three new 'Breaking Dawn' Comic-Con promo character cards revealed. HD Wallpaper and background images in the Twilight Series club tagged: breaking dawn part 1 promo.